Among my friends, not having an opinion about the Serial podcast is roughly as socially acceptable as not having an opinion on the Cereal Killer cafe. And as someone who listens to a lot of podcasts (most of them actually of radio shows), I feel particularly entitled to have a view. For those who have been offline over the last few months, Serial was a weekly podcast with a new episode released each week. It was presented and produced by experienced American radio journalist Sarah Koenig. The podcast followed Koenig’s investigation into the 1999 murder of schoolgirl Hae Min Lee, for which her ex-boyfriend, Adnan Syed, had been convicted and imprisoned. General life and busyness mean that I didn’t quite manage to keep up with the weekly pace of Sarah Koenig and Co’s Serial. A couple of week ago, though, I finally finished the first season; here follow a few jotted thoughts. Serial displaced everything else on my podcast playlist. I listened to episode after episode, and couldn’t get enough. I thoroughly enjoyed it, and look forward with keen anticipation to the second season. …but not as innovative as many people suggested. Blog post after newspaper column after magazine review have suggested that Serial‘s format of a single story told over several weeks is novel, yet Radio 4 has used this structure for decades on hundreds (probably thousands) of dramas, and tens (probably hundreds) of documentary series. The combination of a sort of gonzo journalism and drama was, I concede, a little unusual—but not novel. I’ve never listened to anything Koenig has done before. I don’t know if she’s a regular on This American Life because (heresy ahead) I don’t listen to that show. But for this, she was perfect. She has a brilliant radio voice and great way of writing text that pulls in the listener. This listener can’t praise her presentation highly enough. …but the overall tone was odd. Jonathan Rothwell wrote a few weeks ago about the weirdness of the show’s slightly jaunty ‘whodunnit’ tone and the way in which this jars with the reality of what is being described. This is a real life brutal murder case; the very existence of the journalist’s investigation implies a reasonable suspicion of a miscarriage of justice, with all the additional harm that carries; yet the story is often treated rather lightly. I found the cognitive dissonance of content and tone unsettling. The handoffs between Koenig’s presentation and clips of interviews and archive material were seamless. I think this owes much to the writing and the presentation, but also the production and compilation of clips that demonstrated each point was impressive. This is something a lot of Radio 4 productions do really badly, so it’s a joy to hear it done well. …except for the use of music. Music is powerful, and especially so in radio drama where the only stimulus is auditory. If you add in music underneath a witness’s recorded testimony, it will change my perception of that testimony. If you are trying to make a balanced review of a case to allow me to reach my own conclusions, then your music is likely to be prejudicial. If you are trying to make drama and argue for one side or another, you probably shouldn’t be playing with people’s lives through a podcast. There were a few episodes in which the characterisations of events in the narration extended beyond the described facts of the case. It is difficult to describe exactly what I mean without giving an example – apologies if this counts as a spoiler. In episode six, there is a lot of discussion of the ‘neighour-boy’. He is reported as having once said that he had been shown the body, but he did not testify at the trial. This is repeatedly characterised Koenig as the ‘neighbour-boy’ being a witness to the murder. This is evidently false: seeing a body is not equivalent to seeing a murder. There are a few similar incidents through the series, and I can’t quite decide whether they are mere slips of the tongue, or whether there is a conscious decision to refer to the events in these terms to heighten the drama. Either way, given the import of the situation, it seems plainly to be wrong, and unfair to interviewees as much as to the accused. …and got a bit claustrophobic in parts. This may be the public health physician coming out in me, but I felt that the series was very narrowly focused on the case at hand—with a couple of notable exceptions. The series would have benefited from drawing more on similar cases and from aggregated data about many cases. I wanted stats! 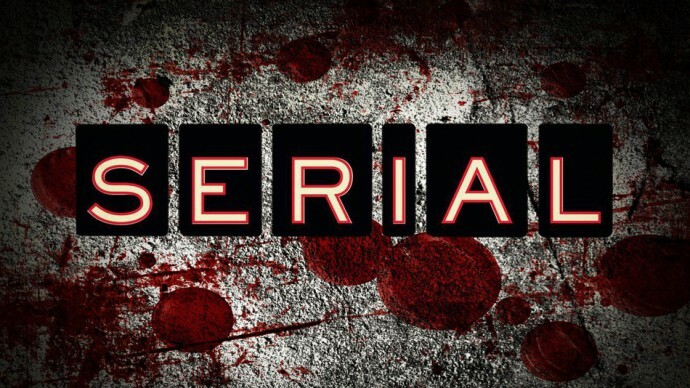 It isn’t clear to me why Serial started airing before the series was complete. It seems a curious decision, and one with which I’m not entirely comfortable. Hypothetically, if someone had confessed, would the series have continued? Would it have been fair to air a recorded confession prior proper investigation? Would it be fair even to report such a confession? Starting a story which has such a big impact on the lives of all involved without clear knowledge of where it might end strikes me as mildly irresponsible. I think this changed the nature of the podcast, too—the tone and focus seemed to shift as the podcast went on, in a way which might well be attributable to the media coverage it generated. It started out as an exploration of the limits of reasonable doubt, and ended as an unsolved whodunnit. The former was a more interesting concept, with more interesting stuff to explore, than the latter. …nor why there were strange gaps in the story. Relevant questions seemed to go undiscussed in Serial – though it’s possible I just missed them. (Possible spoilers ahead.) It’s not clear to me whether Jay knew where the body was. It’s repeatedly said that Jay was able to show where the victim’s car was, but there’s no discussion of whether he knew the location of the body. This is a bizarre omission given that his story is that he helped to bury the body. And don’t get me started about that conclusion. I felt like the podcast got a bit wrapped up in itself by the end. My impression throughout was that the intention was to explore the nature of reasonable doubt. It seemed as though the show caved to externally generated expectation to ‘solve’ the crime in the final episode – an unrealistic expectation which wasn’t met, but was sort of pointed at and talked around. This was a shame. I would’ve liked a much more strident ending that pointed out (spoilers ahead) that – no – we don’t know who committed the murder but – yes – the trial outcome was wrong because of the gulf of doubt. I wanted Koenig to come out fighting about ‘innocent until proven guilty’, not giving a personal reflection on her own personal theories about Syed’s guilt or innocence. But overall—I can’t wait for Season Two. There were problems, but—all things considered—I enjoyed Serial. It’s great to hear speech radio done really, really well. I donated towards a second season and will look forward to listening to it. In the meantime, I’m now totally hooked on another This American Life alumnus’s podcast: Alex Blumberg’s Startup (and Reply All, which I actually discovered first). Oh, and This Week in Google, of course. Not forgetting my preferred alarm clock, The Globalist. And More or Less. And… well… all the good stuff. This 2,291st post was filed under: Media, Reviews, Podcasts, Serial.